I won’t be home, neither in front of a computer, for the next 7 days, as we are heading to south of France, to see my in-laws: seafood, oysters, buche… Stuff like that!!! 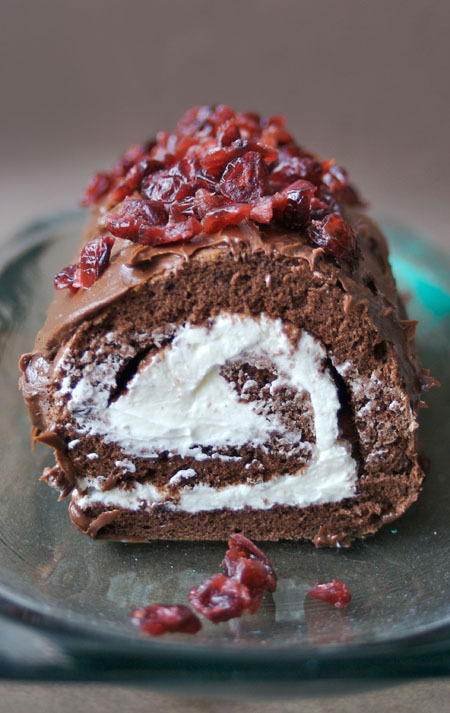 I will never leave you without a Christmas recipe, so, if you want to know how I made the yummy roulade pictured above, you have to simply head here!!! And don’t forget you’ll have until Friday the 21st December to bid for one of San Lorenzo‘s Hamper for Menu fro Hope: EU02 or UK35! Have a fabulous Christmas Sara, see you in the New Year! What a gorgeous roulade! I hope that you have a very Merry Christmas!! Have a wonderful holiday! I’ll be interested in knowing where you went “in the South of France” — that’s pretty vast! You did a lovely job on your yule log! This bûche de Noël is just fantastic!